At the end of each June, electronic music fans and festival lovers converge on the quiet town of Rothbury, Michigan for the magical weekend gathering known as Electric Forest. It’s become one of the most prolific transformational festivals since beginning in 2011, growing more popular as the years go by. 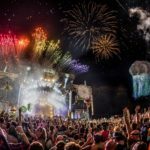 Reports are beginning to trickle in that Electric Forest could potentially be expanding into a two-weekend festival in 2017, following in the footsteps of events like Coachella and Ultra (which is now back to a one-weekend event). There is currently no official confirmation on the news from Electric Forest. In the meantime, we’ve reached out to Insomniac, the founders and producers of the festival alongside Madison House, for comment.